On the island of Bressay. A sloping wall of good quality sandstone up to 8m high. Park at the car park at HU525408 and head south-south-east to the crag. 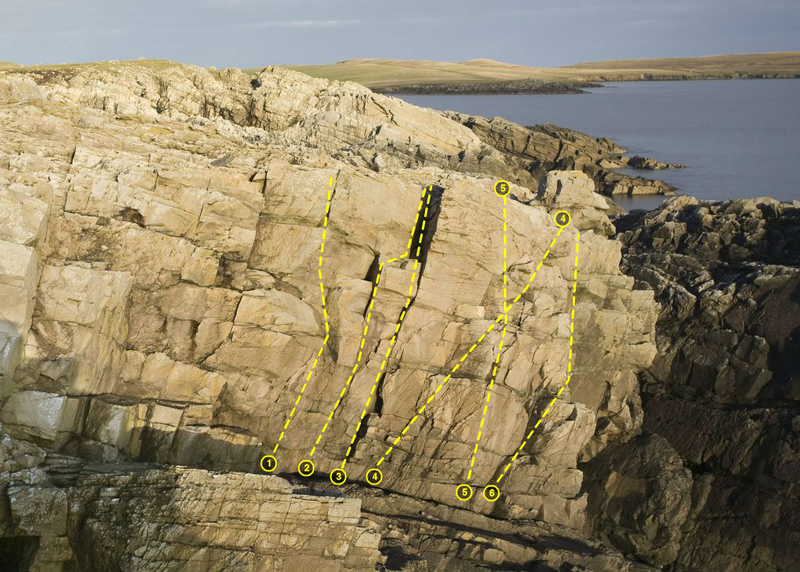 All routes can be accessed by scrambling down near by except where stated. 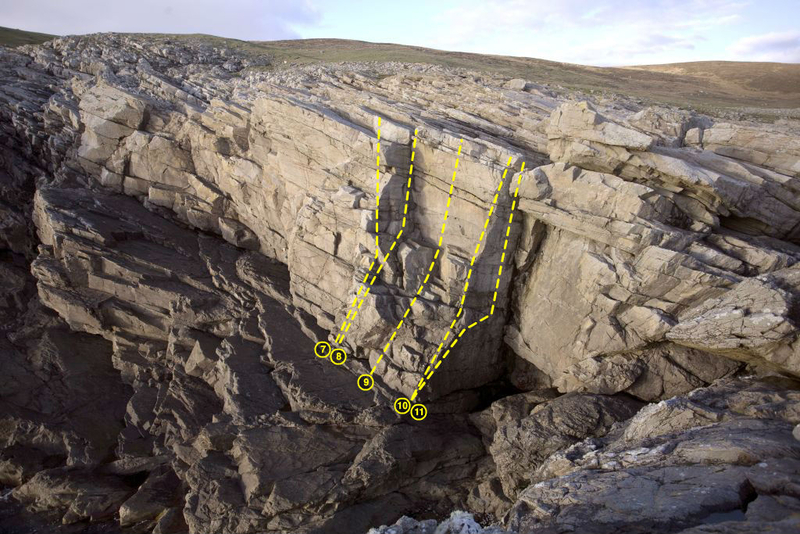 Crags are listed from north to south as you approach. To add a photo use the uploader in the right sidebar. 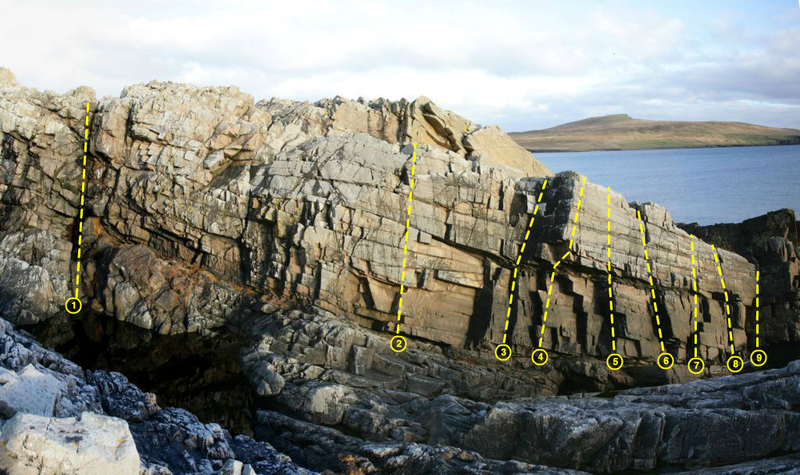 Make sure you include Muckle Hell Crags in the photo description so it gets added to this page. 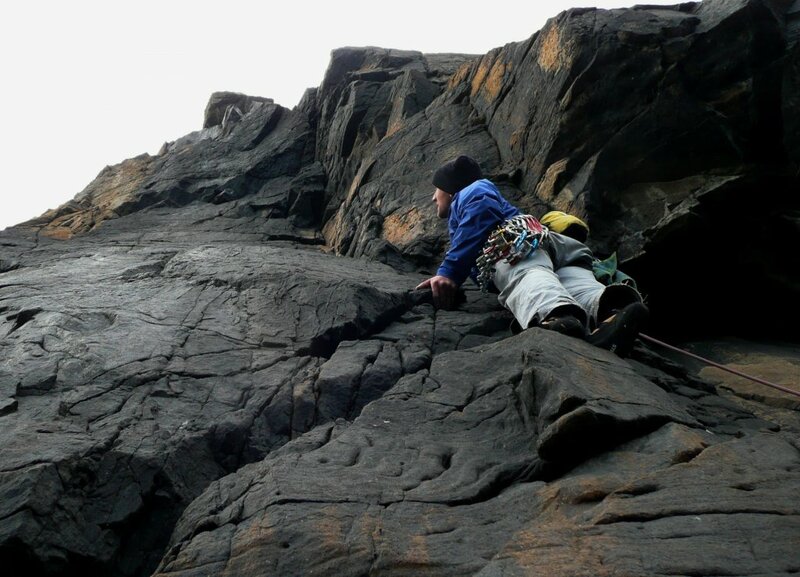 We are looking for crags to take our 8 year old daughter, would this be a good one for a young climber, i.e. easy grades. 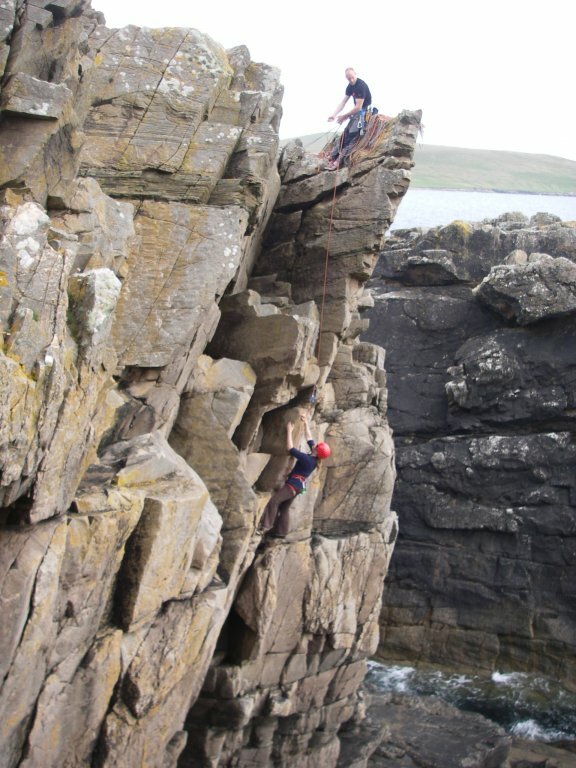 Is this the crag that is being used for the Nature shetland event? Yes, Crocodile crag should be suitable for this. 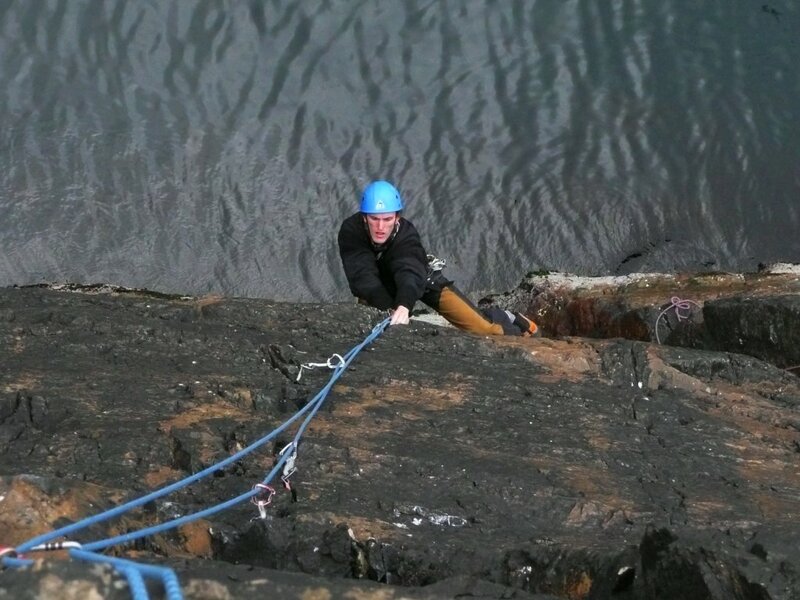 Unfortunately the majority of Shetland crags, even the easier ones, are sea cliffs and require an abseil approach. 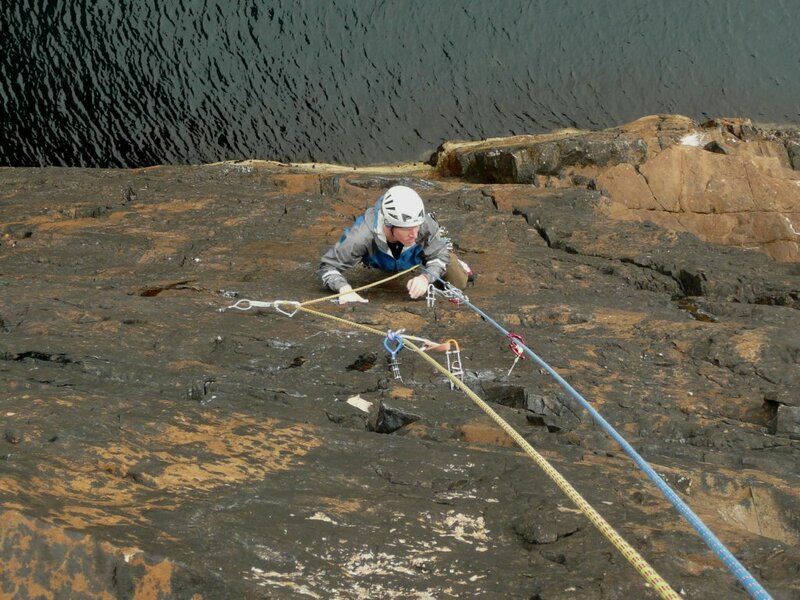 A couple of others you might want to try, not requiring an abseil, are the South Gill and the Bannaminn upper slabs (very easy). Hope you enjoy your time in Shetland!